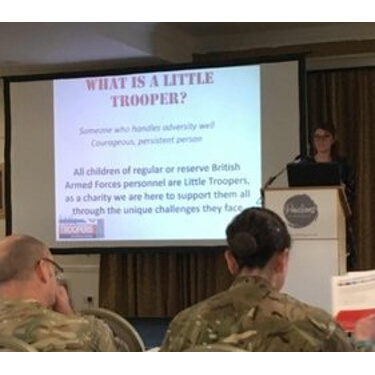 A team of military spouses recently scaled the grueling Three Peaks Challenge to raise over £1,200 for Little Troopers. 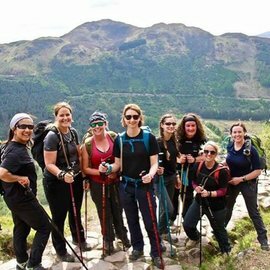 Seven women from Maidstone’s Invicta Park Barracks and one from Brompton Park Barracks in Chatham reached the summits of Scotland’s Ben Nevis, Scafell Pike in England and Mount Snowdon in Wales in just over 27 hours to complete the trek which took place on 19th/20th May. 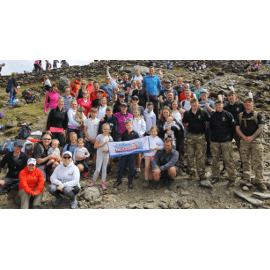 The “Chicks with Sticks”, whose husbands serve with 36 Engineer Regiment, Royal Engineers, had to climb around 11,000 feet to complete the arduous challenge, training began last year and included a summit of Snowdon ahead of the main event. Clare Manx, who lives in Maidstone with husband Staff Sergeant Nicholas Marx (REME) and their sons and was joined in the Three Peaks team by Celine Williams, Sue Drysdale, Meredith Grant, Lisa Britton, Fiona McNeil, Jo Stanley and Rekha Rana.